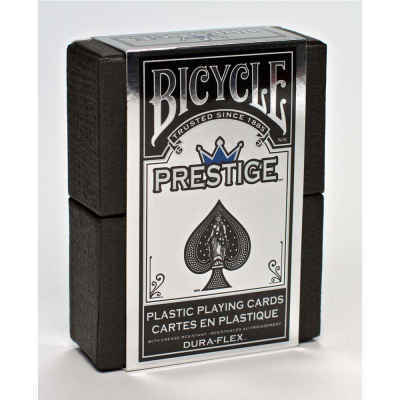 Bicycle® Prestige cards are 100% plastic which makes them the most durable kind of card. 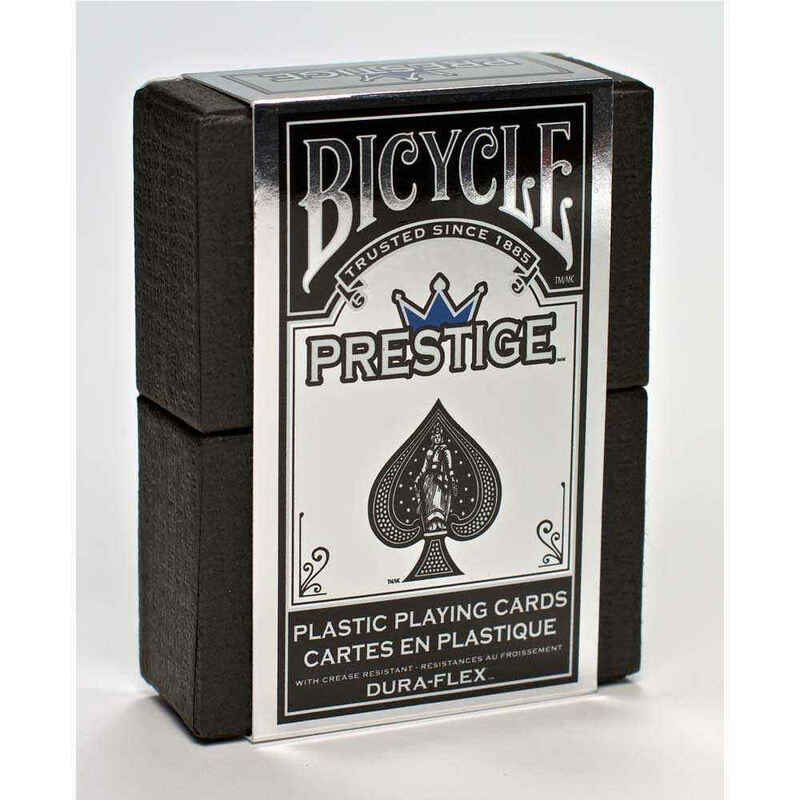 They also have the feel of paper which is why many professionals prefer this deck of Bicycle® playing cards over all others. The Prestige deck comes in a sturdy and distinctive black box with a lift off top. Everything about this deck says quality and attention to design for the serious card player.